Meeting Places Glasgow – Looking for a place in Glasgow to hold your next business meeting? Every business has to have meetings. But where you meet can make a big difference. Using your own office for a meeting is fine but sometimes you can have distractions, facilities might not be great or the room might not be big enough. So it’s time to challenge yourself and get out of the ordinary and start holding those client meetings in better places than you are used to. By choosing to meet in a different venue may help get the creative juices flowing more smoothly. To solve the dilemma of where to hold client meetings, here are the best meeting places in Glasgow. A short walk from Glasgow Central and Queen Street stations, this venue has 9 multi-use rooms, the largest of which can accommodate 14 guests. They offer executive meeting rooms, boardrooms, consulting rooms, training room and treatment room facilities. BIZQUARTER benefits from a friendly onsite team, including reception and maintenance staff, excellent road, rail and air transport links. The facilities are second to none, with all business needs being met. There is controlled entry, CCTV, waiting area, reception area, printing, fax machines, scanner, WiFi, tea and coffee, lift, toilets and online booking system. The venue stresses that it knows the “importance of keeping costs well within budget”. Meeting at a local library and finding an empty study room is a great way to get a meeting done. It’s clean, quiet and free. The Mitchell Library at Charing Glasgow offers a unique venue for holding a meeting. Coffee places can be a good place to meet if it is for an informal chat. There are lots of them in Glasgow and the most of them have free WIFI. However, what you can find is there is not a lot of space and they can also be loud and disruptive. Similar to coffee shops, hotels are an adequate place to meet. There are lots of hotels in Glasgow. CitizenM on Renfield street is a quirky place to hold a meeting. There are a number of universities in Glasgow with empty spaces available at any given time. Holding a meeting at the client’s house is a little risky, so never impose the idea. But it’s fine if they offer. Having the right meeting place can help you be more successful in meeting which can help you be more creative or get more sales. 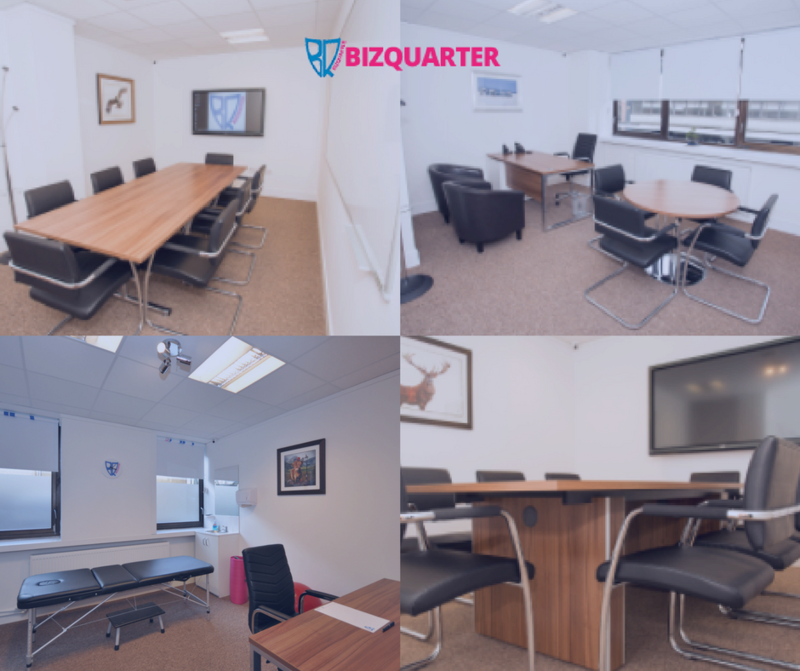 Bizquarter is NOT a large corporate brand or chain, they are an independent business owned and managed by its founding director and they really care that they provide you with the best conference, meeting, consulting and training experience. They take care of everything else so you can focus on your meeting and your business. Book now.